Korean pop group The Wonder Girls model their bejeweled headphones at the Monster booth Wednesday. 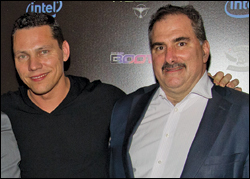 Jessie Cantrell, director Motomu Toriyama and producer Yoshinori Kitase show off vidgame “Final Fantasy XIII-2” at the Spike party at Tryst on Tuesday. 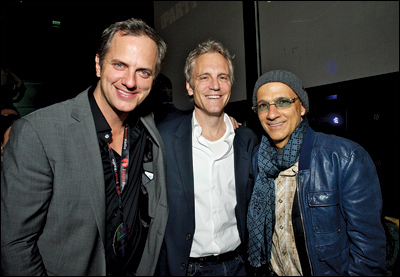 Clear Channel’s Tom Poleman and John Sykes with Jimmy lovine at Wednesday’s iHeartRadio’s party at Haze, where Will.i.am guest DJ’d. 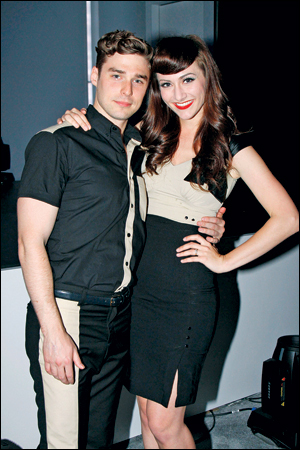 Nick Noonan and Amy Heidemann of Karmin performed at the Sony booth Wednesday. 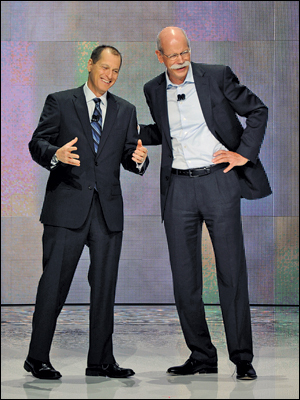 CEA prexy Gary Shapiro with Daimler AG/Mercedes-Benz’s Dieter Zetsche at the keynote address Tuesday. 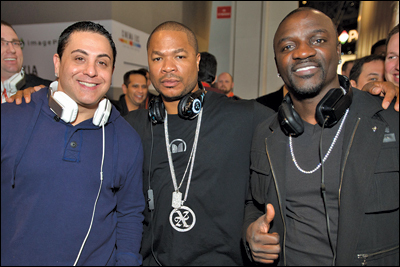 DJ Skribble, Xzibit and Akon are all ears at the Monster Booth Wednesday. 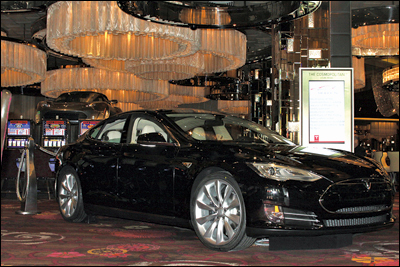 The Tesla Model S electric sedan was the star of a Charge Up! 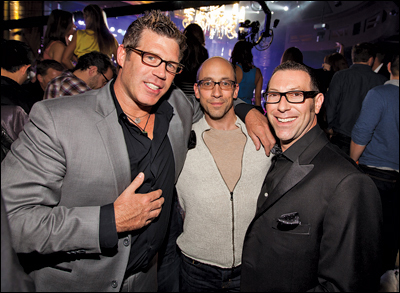 party at Queue Bar Tuesday. 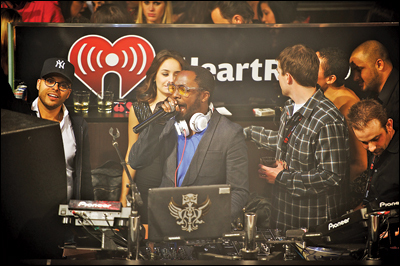 Will.i.am at the iHeartRadio CES party at the iHeartRadio CES party at Haze nightclub at the Aria Resort and Casino.